Located off Interstate-94, this Black River Falls hotel is a 15-minute drive from Black River State Forest. It features an indoor pool, a hot tub and spacious rooms with free Wi-Fi. A cable TV and coffee maker are standard in every simply furnished room at the Days Inn Black River Falls. All rooms include a private bathroom and ironing facilities. A daily continental breakfast is served at the Black River Falls Days Inn. Guests can use the on-site barbecue grill. 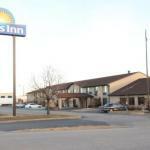 Free access to the sauna and game room is provided to all guests of the Days Inn. Parking is also free on site. Majestic Pines Casino and Skyline Golf Club are both 2.5 miles from the hotel..
We plan to add more related stuff like: pet friendly hotels in Black-River-Falls, Wisconsin dog friendly hotels in Black-River-Falls, dog parks in Black-River-Falls, pet stores in Black-River-Falls, WI, and pet spas in Black-River-Falls. Keep checking for more!